According to a survey conducted by the In-Store Implementation Network, when asked “How do you measure performance of in-store merchandising?”, 28% of respondents “make assumption that the job got done” and 23% “do not measure in-store execution” at all. And yet, the same research estimates that non-compliance costs the industry 1% of sales annually. While most retailers know of the problem, a number of misconceptions tend to surface. Training is essential but training alone does not guarantee your standards are followed. Store staff may be trained, answer the quiz and pass the test, but are they applying their learned skills where it matters, enhancing the customer experience? Measure what you communicate so the standard is communicated, reinforced and measured using consistent criteria. If for no other reason, measure for measurement sake because measurement breeds compliance. Automation saves time and money. 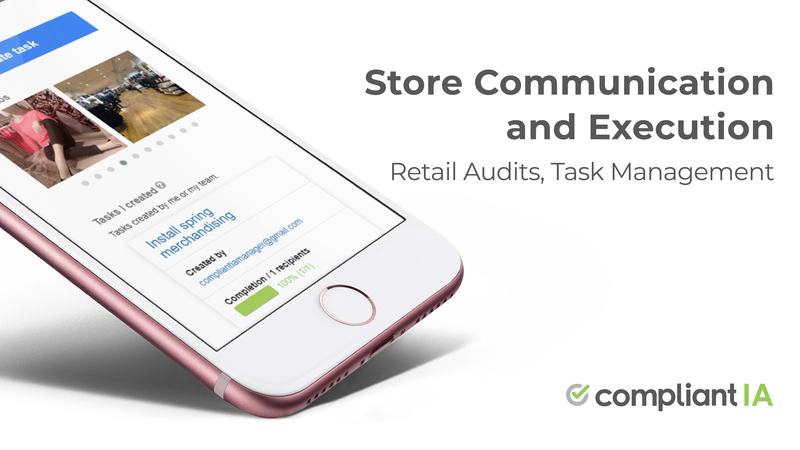 The organization saves $84 for every retail audit done with retail audit software. Automation provides real-time analytics to help you better manage your business and drive the brand forward. 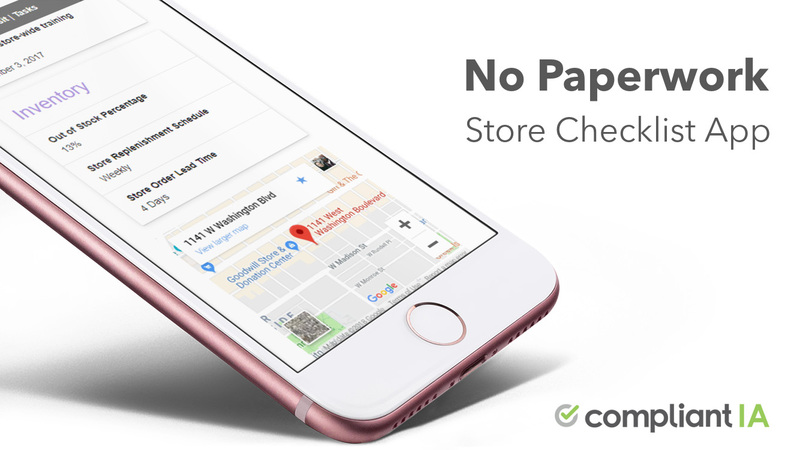 Retailers who do monitor performance sometime rely on paper, a process that is slow, error-prone, labor-intensive, requires shipping and storage and often deprives the organization of the analytics it needs to make informed business decisions. While tracking compliance on paper is arguably better than not tracking it at all, retail audit software can demonstrate ROI on the process improvement alone while giving all levels of the organization access to real-time reporting and analytics. Try it and you likely won’t go back. For more information on the ROI of Compliantia vs a paper-based process, please refer to Are You Still Using Paper? A mystery shopping program and District Manager store walks ultimately address different needs and have vastly different outcomes. A District Manager’s store walk essentially amounts to “quality assurance”. Provided the District Manager is equipped with the right tools, she will follow a compliance process that is regular, unequivocal and actionable. The visit is meant to be a preventive in nature, a process that ensures the organization’s operations are conducive to efficiency, safety, profitability and customer satisfaction. This is essential because, unlike “black-box” testing (mystery shopping), quality assurance can audit the process and prevent problems before they happen. The DM isn’t strictly inspecting the outcome, she is checking that the process itself is conducive to a successful outcome. She is checking the various steps, and parts of the operations machine, some of which may not be visible to the consumer. Indeed, unlike typical Mystery Shopping programs, District Managers can review the front-of-the-house, the back-of-house as well as health and safety. A positive customer experience does not happen in vacuum, it happens when all parts of the operations machine are functioning individually and together well. Your District Managers are your strategy and performance enablers on the ground. For more information on the differences between mystery shopping and District Manager store walks, please refer to Mystery Shopping vs. District Manager Store Walks. The most successful chains all share one trait: they execute better than the competition. Retail audits are not a “feel good” or make-work initiative. Retail audits mean more efficient operations, more profitable stores and higher customer satisfaction. Customers have a way of thanking stores that are well run: they come back. Nice work describing the pain point, Fabien. That sounds like a no-brainer to me. I would even go one step further, a little in the spirit of the “real-time web”: I think that reporting shouldn’t be limited to the occasional visit of the area manager, it should be done by the store manager as well, and more importantly, increasingly over time, by web-enabled devices capable of monitoring the environment. Ok, it sounds a little orwellian, but I don’t think it has to be. Having a clean place and the right display definitely drives business for most outlets and there is nothing threatening privacy in making sure that’s the case! As an example, my family stopped going to the nearby Burger king b/c we found the place so dirty. Which makes me think, you could also include customer feedback, increasingly available through sites like yelp and getsatisfaction, in the compliance dashboard for the store and area managers! Wow, the possibility are endless and it seems like it should be pretty quick to identify those with the highest ROI for the chains.